To mark the closing of BBC’s Bush House, which sends out its final broadcast today, this is an updated memoir of growing up there in the 70s. My mother, Lalita Ahmed, used to freelance for the Hindi Section. She read news sometimes but, being a professional actress rather than a journalist, took part mostly in dramas and discussions. And without childcare, throughout the 70s she used to take me, and often my siblings and even friends, along when she had recordings. I must confess, there were long stretches, especially when I was only 5, when I was bored. But there were those fabulously exotic English meals to look forward to in the Bush House canteen when it was all over. Fish and chips and spongy things with custard. But over time it came to mean much more. I grew up completely at home with reel-t0-reel tape machines; sitting with the Studio Managers, watching them rock the reels and edit with a flick of the china graph pencil and razor blade. Scripts were painstakingly typed and carbon copied. Words in beautifully written Hindi were amplified round the booth. I even got my first broadcast experience there being interviewed for a children’s programme about second generation Indian immigrants growing up in Britain. (And learned that it was never a good idea to drum one’s fingers on the table during a recording). I saw the professionalism of take after take till they got it right, broadcasters and non-Hindi speaking technical staff alike. Compared to the racism one often came across outside in 70s Britain, Bush House seemed a beacon of mutual respect and tolerance, whatever the reality of office politics. It made a big impact on a young girl. Most of all I remember with affection sitting in the Hindi section offices. The Eastern Service was all on one one floor — Urdu, Bengali and the other Oriental languages linked through the labyrinthine corridors of the building. A wrong turning on the way back from the Ladies might see me wander into a room full of Burmese or Nepalese journalists and writers, sharing a joke. The place was always full of intelligence and affection for distant homelands. Many staffers in some Eastern European sections were political exiles. The Bulgarian dissident Georgy Markov was famously murdered around this time (1978); his killing not solved till 1995. I would sit in the window bay as night fell, looking out on the lit up theatre marquees of the Aldwych and the taxis dropping off outside the Waldorf, and listen to my mum and her journalist friends discussing the latest politics in London and Delhi. I can actually still remember that specific moment, sitting there, when I thought, one day when I’m grown up I’ll work in London like this and go out at night. 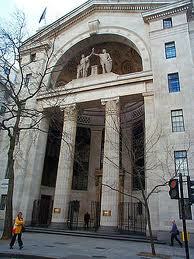 Bush House was then, and somehow remains to me now, the centre of the universe. My mum’s friends mostly continued to serve the Hindi section till retirement. They were delighted when I became a BBC graduate News Trainee. Kailash Budhwar, who was from 1979 till 1992 head of the Hindi section, and a regular commentator on South Asian politics for programmes such as Newsnight, remains a close family friend and mentor. I took a special delight in 1990, in going back into Bush House for the first time since I was a child, to interview him for a trainee radio report. It was about the 6th anniversary of the Bhopal disaster. He has remained a passionate advocate of the World Service. I found a beautiful letter he wrote to The Times in 2005, about the power of English as a global language and a force for good. Bush House was always a vital resource, a first point of call on complex foreign stories even when I was working for Channel 4 News throughout 2000-2011. In late 2001 in the aftermath of 9/11, it was where I went after the start of the NATO-led military campaign to root out Bin Laden, to listen in to the Pashto service broadcasts. Here in London was where information about what was really going on was being collated and sent back. Some Afghans had managed to phone in with eye witness reports, which were being broadcast back to the nation. I interviewed the thoughtful, highly educated presenters and producers, many of them women and refugees from either the Taliban or the Soviet era, worried about the fate of family and friends as the bombardments began. A producer from the Hindi service found me in the corridors and took me to meet the current team – the entire Eastern Section from Bengali to Nepalese, who welcomed me, like a returning old schoolgirl, to their refurbished open-plan 90s-style office, which was itself gradually being emptied and re-located. I felt fortunate to have had a chance to be part of the Bush House story. On the way out I went through the old basement canteen. As Britain has changed, so had chicken tikka masala long since replaced many of the “bland” delights on the menu of my childhood. I felt lucky to have a chance to say hello and then a final goodbye to the building where I felt so at home. Closure of Hindi service shortwave by a former BBC-staffer: this in The Guardian. This entry was posted in Culture, journalism, Media, Radio, Uncategorized and tagged 70s, BBC, Bush House, culture, India, journalism. Bookmark the permalink.